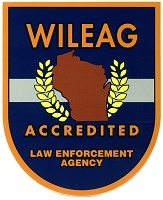 The Menomonee Falls Police Department is accredited by the Wisconsin Law Enforcement Accreditation Group (WILEAG). Accreditation is the process in which an agency is evaluated on prescribed standards associated with the day to day operations of a law enforcement agency. This is a voluntary endeavor that subjects the department to outside review of policies, procedures, and practices in the interest of self-improvement. Accreditation refers to a system of rules and regulations, called "Standards," that an agency is to follow in order to retain the status of being "accredited." Colleges, universities, health care providers and school districts are commonly accredited. The State of Wisconsin developed a state program for accreditation in the mid-1990's which evolved as a result of an initiative by the Wisconsin Chiefs of Police Association. On May 21st, 1998, the Menomonee Falls Police Department became State accredited by demonstrating its commitment to law enforcement excellence through compliance with standards deemed essential to the protection of the life, safety and the rights of all citizens. Accreditation encourages best professional practices in the conduct of it's responsibilities to the community it serves. The Menomonee Falls Police Department was most recently re-accredited in November 2017. The Menomonee Falls Police Department is dedicated to maintaining its accredited status. For any other questions regarding accreditation, call or email Captain Jeff Knop at (262) 532-8703.